BBC America just happens to be one of my favorite channels. Some of my friends call me pretentious for watching it, and my own girlfriend complains that she cannot understand most of what is being said because of the accents. Well, too bad. I think the Brits have aired some marvelous shows over the years. One fairly recent example would be the original Ricky Gervais version of The Office. I mention all of this because one of the better science-fiction programs out there is Primeval, which airs on BBC America. The show has never really received the attention here in America that I think it deserves, and that may be part of the reason. The program has had quite a history since its debut in 2007. Part of this has had to do with the high-budget special effects the series uses. The basic premise of the show follows a team of scientists investigating temporal anomalies in England. These openings in time allow gigantic prehistoric and futuristic creatures to randomly appear, and believe me, these monsters wreak some serious havoc. The special effects are outstanding, and as previously mentioned, were the main reason for the show being cancelled in 2009. Although it happens very rarely, once in a great while a show will be revived thanks to the dedication of fans. This was the case with Primeval -- and it actually lived to see another day. The new four-DVD set Primeval: Volume Three contains 13 episodes, although (somewhat confusingly) it is not the third season of the series. Primeval: Volume One (2008) is a four-DVD set containing seasons one and two, while Primeval: Volume Two (2009) features three-DVDs which comprise the third season. 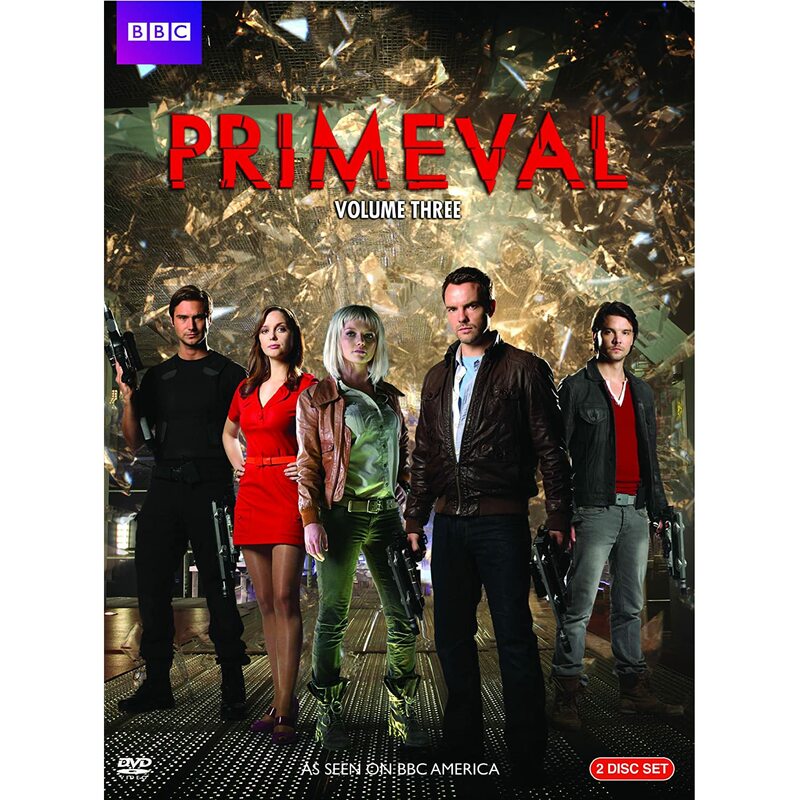 The recent release of Primeval: Volume Three contains Seasons Four and Five. The program has certainly lost none of its high-budget luster -- and the show’s premise remains quite intriguing. In addition to the 13 televised episodes, the set features two additional “prequel” webisodes; New Dawn: Parts One and Two. New Dawn is interesting, and (especially for webisodes) very well done. All in all, I would call the Primeval: Volume Three a must for science-fiction fans, especially those who actually enjoy hearing heavily British-accented dialogue. Just a small side-note, what we here in the United States call “seasons” in regards to TV shows, in England they are referred to as “series.” So do not let the box art mentioning that the set contains Series Four and Five throw you. Oh those wacky Brits! It is a great program though, and to repeat: the special effects are excellent.